The U.S. Attorney has to abandon seven of his wrongful prosecutions. 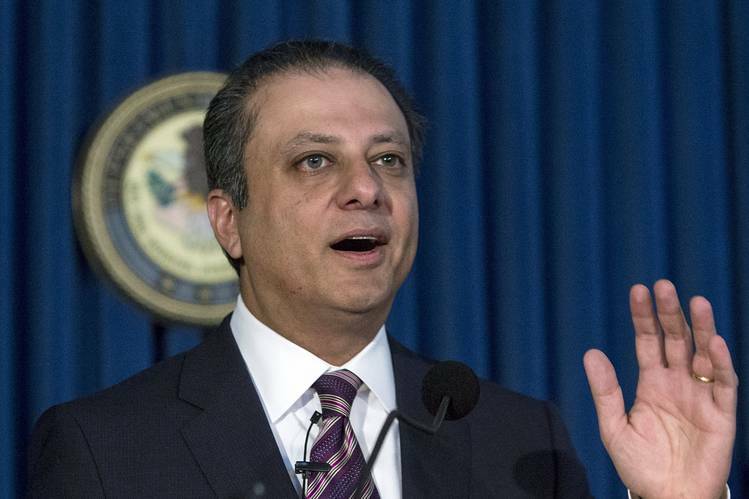 Preet Bharara became the toast of the press corps with his insider-trading prosecutions, but the media are now underplaying his retreat as the U.S. Attorney is having to concede his legal errors. So allow us to highlight Mr. Bharara’s extraordinary decision last Thursday to dismiss the charges against seven defendants. Prosecutors don’t typically abandon cases they’ve already won, but Mr. Bharara was forced to do so after the Second Circuit Court of Appeals ruled that his claims about what constitutes insider trading were personal inventions that exceeded the law. It’s nice of Mr. Bharara to invoke justice years after he damaged so many lives, but the reality is that these were wrongful prosecutions. Mr. Bharara figured that with Wall Street so unpopular he could persuade juries to buy his elastic definition of insider trading. He owes his targets an apology, not a press-release apologia. Posted on October 26, 2015, in Postings. Bookmark the permalink. Leave a comment.